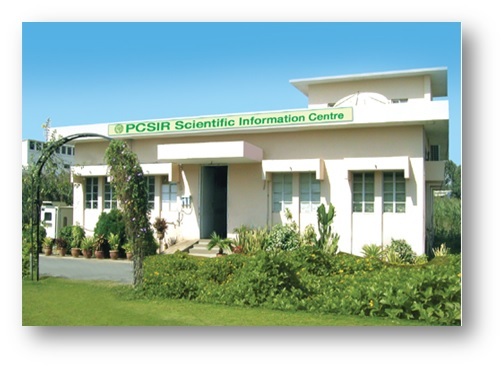 PCSIR soon after its inception set up a Publication Branch at the Head Office in 1956. The Branch launched the quarterly research journal, Pakistan Journal of Scientific and Industrial Research in 1958. Besides the compilation of a number of monographs, the Branch used to bring out other publications like, Science and Industry, Science Chronicles and Karwan-e–Science – an Urdu popular science magazine of repute. Realizing the importance of the potential role which information plays for the socio-economic development of the country, the Publication Branch was given the status of Scientific Information Division in 1984 and after re-organization in 1989, the Division was upgraded as Scientific Information Centre (SIC) at par with other independent Centres of the Council. The ‘Pakistan Journal of Scientific and Industrial Research has completed its 57th years of publication in December 2014. The journal is sent to a number of abstracting and indexing agencies that include Biological Abstracts, Chemical Abstracts, Geo Abstracts, CAB International, BioSciences International Services, BIOSIS, NISC, NSDP, Current Contents and CCAB etc. The journal has also sent in exchange to 50 other journals of national and international repute. In the year 2013-2014, the journal received 145 manuscripts for publication through email and website [13 manuscripts from PCSIR researchers, 69 from other national organizations and 63 from abroad]. PCSIR Bulletin acts as a tool for disseminating information regarding research and development activities of the Council and maintains liaison with the media and other stakeholders. It creates awareness among the industrialists as well as individuals about the ongoing work in PCSIR. The Bulletin is circulated among the members of various regional and national chambers of commerce and industries besides federal and provincial establishments, S & T organizations and academia.